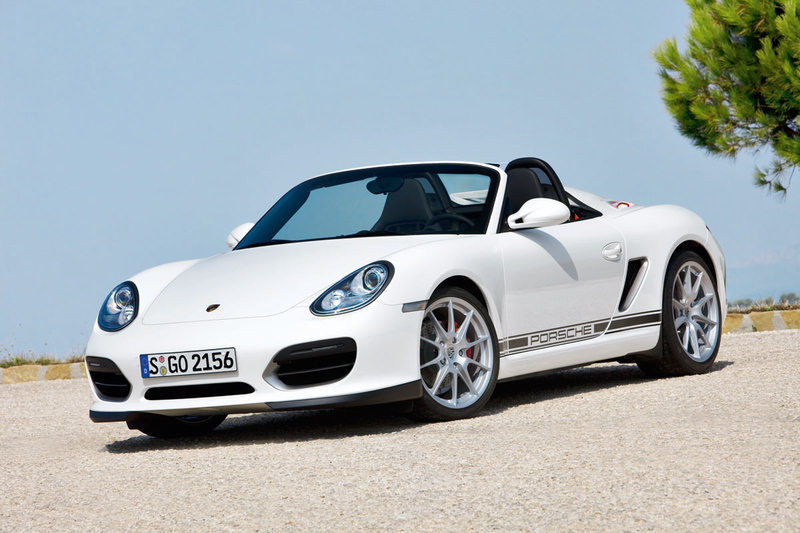 2011 Porsche Boxster 987 Spyder Exposed! Forget the radio. Forget the convertible top. Forget the A/C. It’s all about the drive. The third model in the Boxster lineup, the Spyder, is a pure driving machine receiving a bit of the GT3 RS treatment, literally. 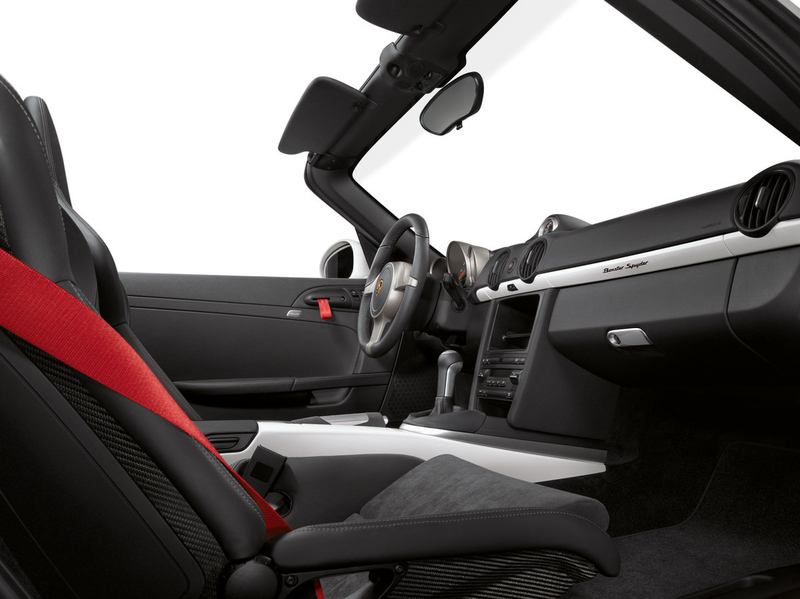 Porsche was able to save 177 pounds over the Boxster S while using aluminum door skins and lightweight door panels from the 911 GT3 RS, and nixing the air conditioning, radio, and traditional top. 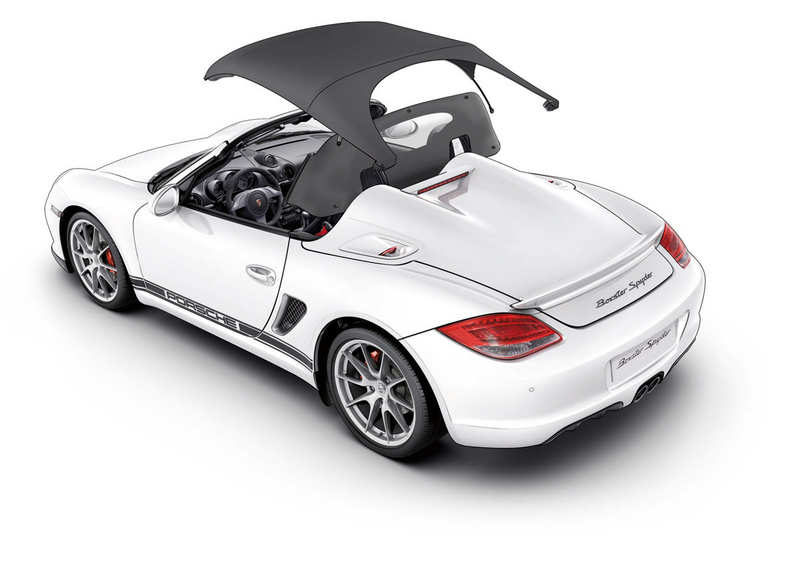 The new two-piece fitted top can be stored in the trunk of the 987 Spyder and fitted by the driver in minutes. The lightweight top however does not completely seal the car from the weather. 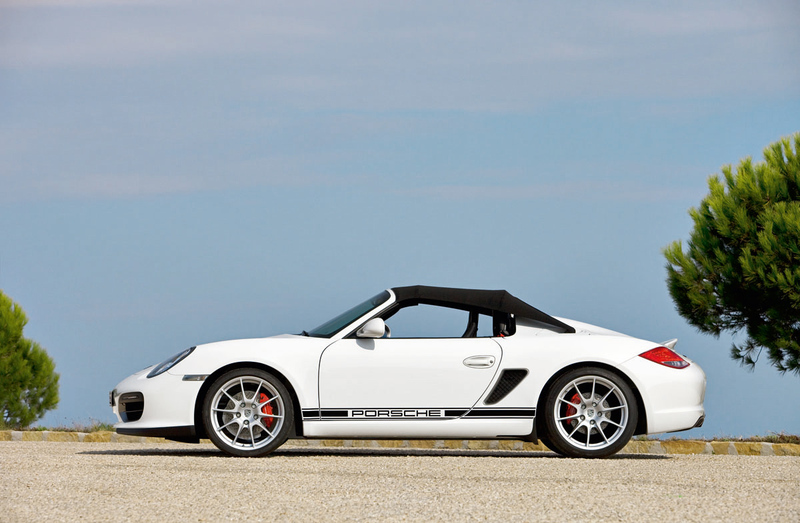 Two “power domes” reminiscent of the Carrera GT flow from the headrests to the rear of the car where a new spoiler sits. 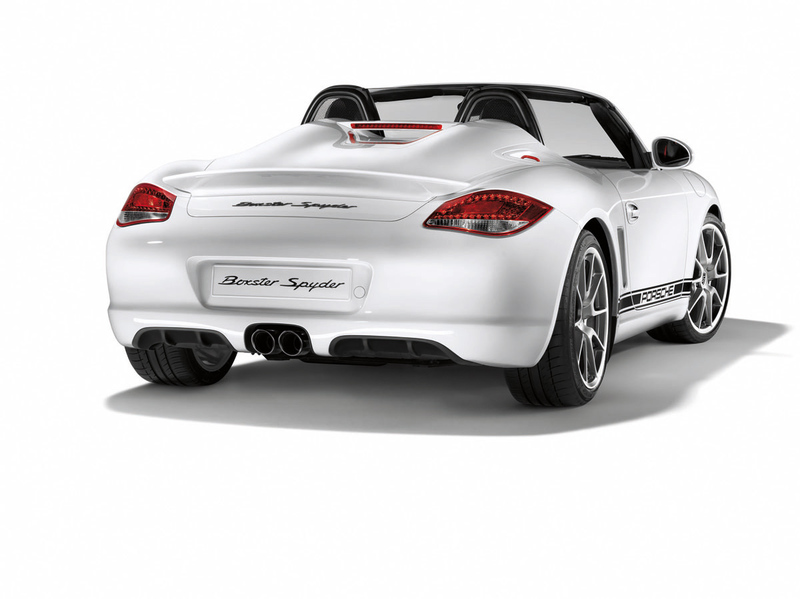 The traditional Porsche stripe differentiates the Spyder from either of its siblings. 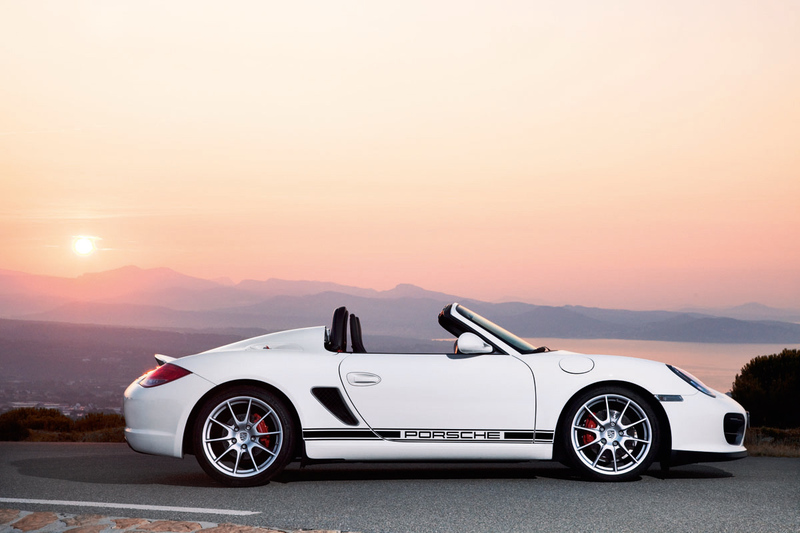 The mid-mounted engine in the 987 Spyder receives a small power bump of ten horsepower, pushing power to 320hp at 7,200 RPM. The increase in power and reduction of weight allows for mid 4-second sprints to 60 mph, with the PDK being the quicker of the two available transmissions. 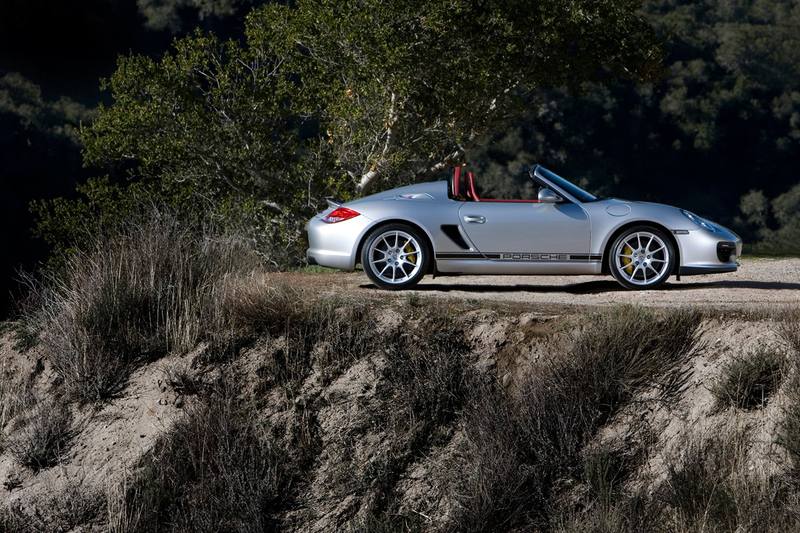 A new sport suspension gives the 987 Spyder a lower center of gravity, reducing ride height by 20 mm. 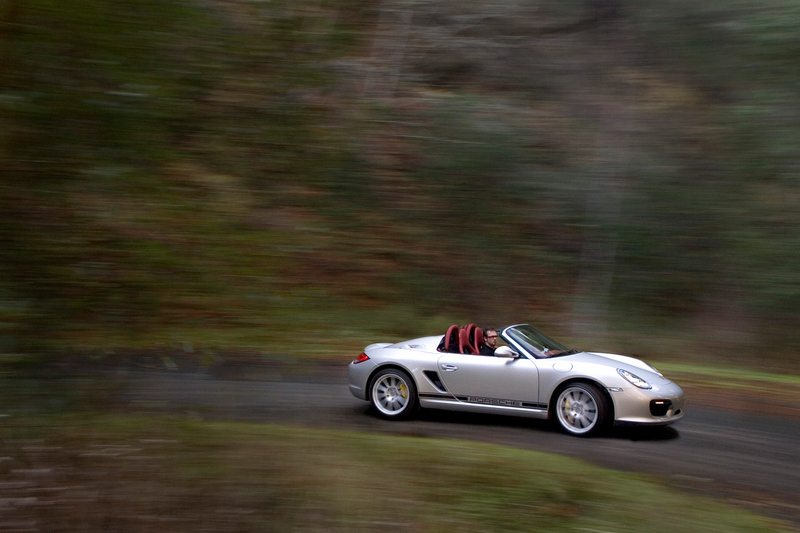 The standard limited slip differential ensures the Spyder will be a thoroughbred track star. Exclusive wheels measuring 19” x 8.5” at the front and 19” x 10” at the rear are shod in 235/35 ZR19 and 265/35 ZR19 rubber, and use a 5-lug system instead of the lightweight interlocking system on the GT3. 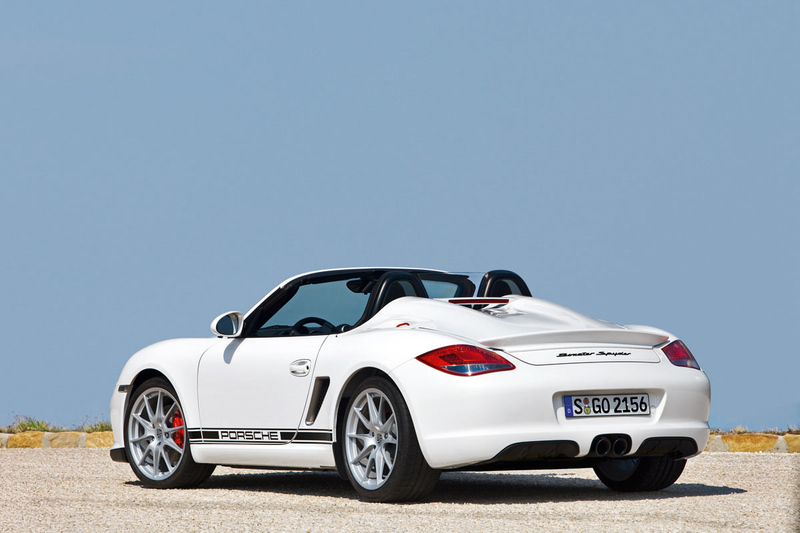 The driver oriented Porsche Boxster Spyder will be available in February of 2010. 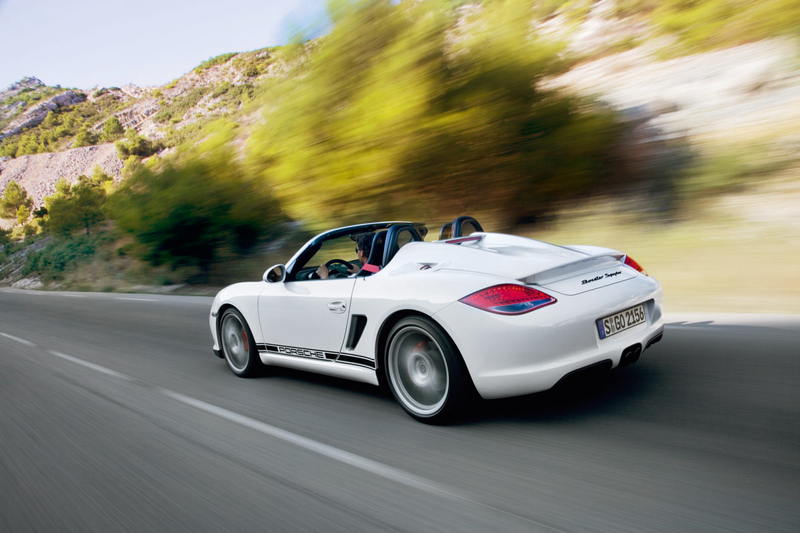 Pricing will start at $61,200, just $3,200 over the Boxster S. A multitude of options will be available from Porsche to make the Boxster Spyder a truly unique automobile. Curb weight (manual): 2,811 lbs. Curb weight (PDK): 2,866 lbs. 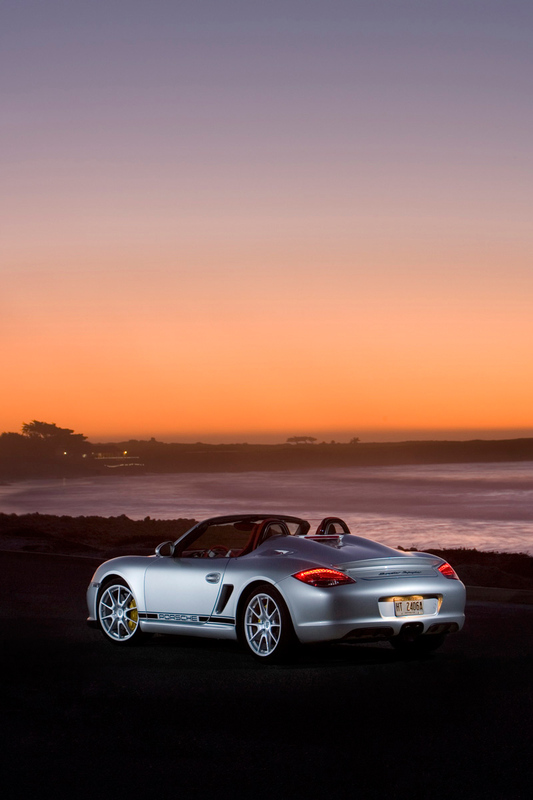 What do you think of the Porsche Boxster 987 Spyder?